Old furniture, screens and other miscellaneous items can be found in the southern section. It appears to be office equipment which has been stored here. No tools or engineering equipment remain. 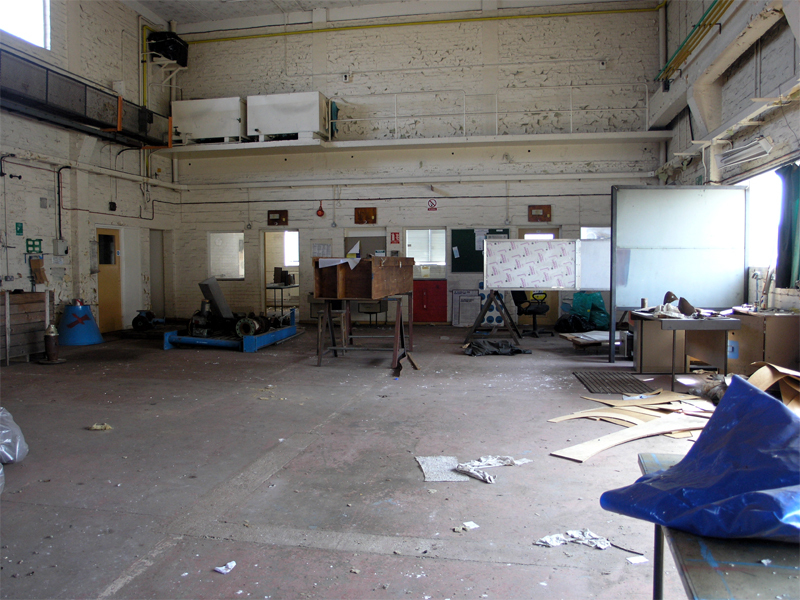 Looking south at the offices at the southern end of the New Fitting Shop.